My project starts with this thrift shop mirrored planter box. When I'm lucky the mirror can be easily removed for painting but on this one, it was not the case. I didn't tape it off either. I used a very fine bristled artist brush to carefully and slowly paint along the mirror. I brushed on two coats of DecoArt Americana Decor Chalky Finish Paint in Relic . 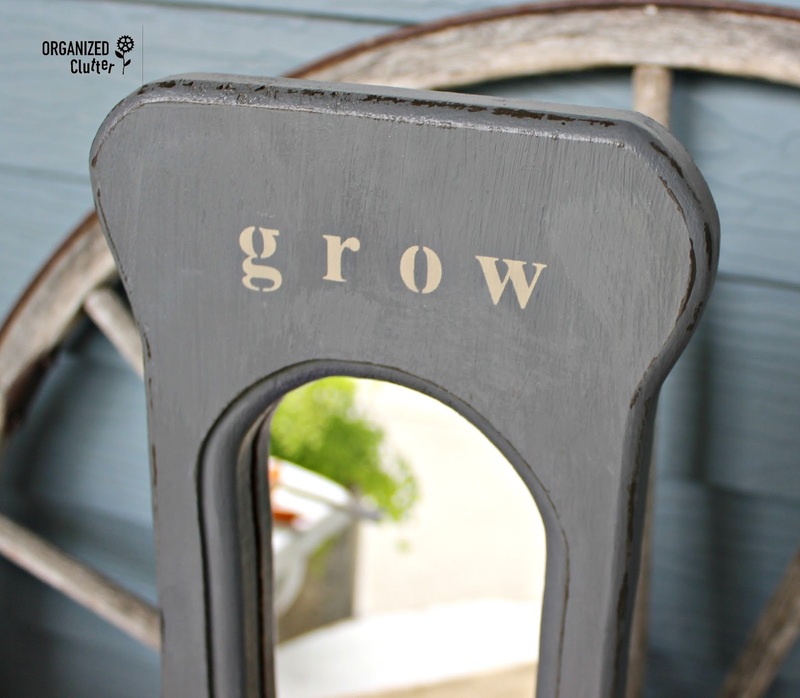 I stenciled on the word "Grow" with Momenta Adhesive Alphabets & Numbers Stencil and Fusion Mineral Paint in Algonquin . I moved the g up further for the stencil. It was too low lined up evenly with the bottoms of the other letters. 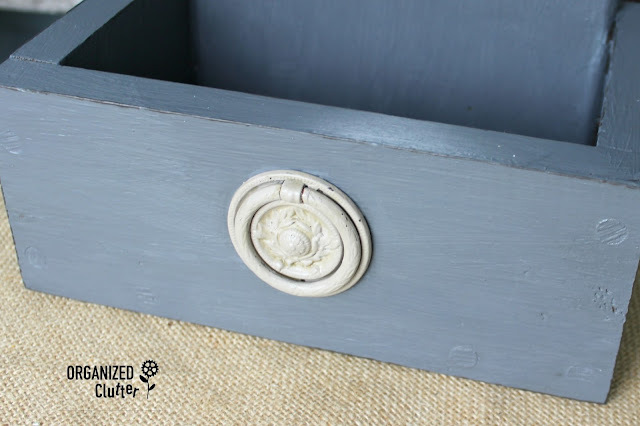 I also gave this old metal dresser knob two coats of Fusion Mineral Paint in Algonquin. This is how my stencil turned out. And this is the drawer pull. Use your drill to make a hole for the knob back. 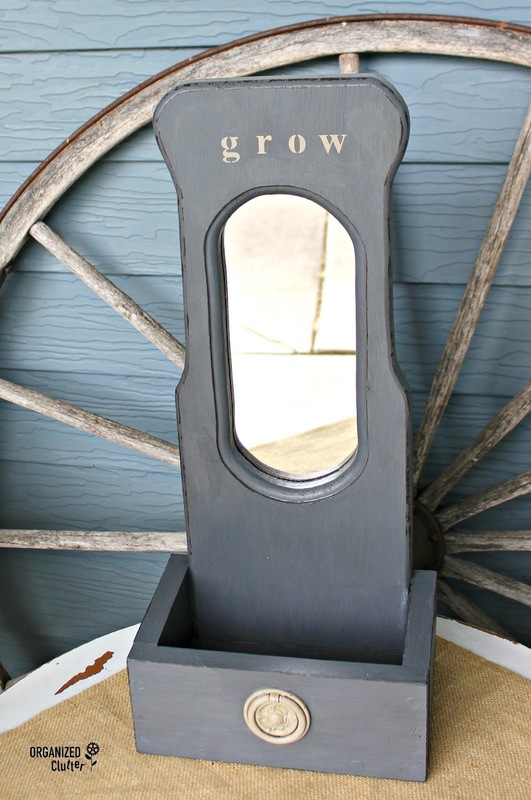 I used my FolkArt Home Decor Layering Block and Ceramcoat Craft Paint in Walnut Noyer to distress the edges. Information on the Layering Block can be found HERE. 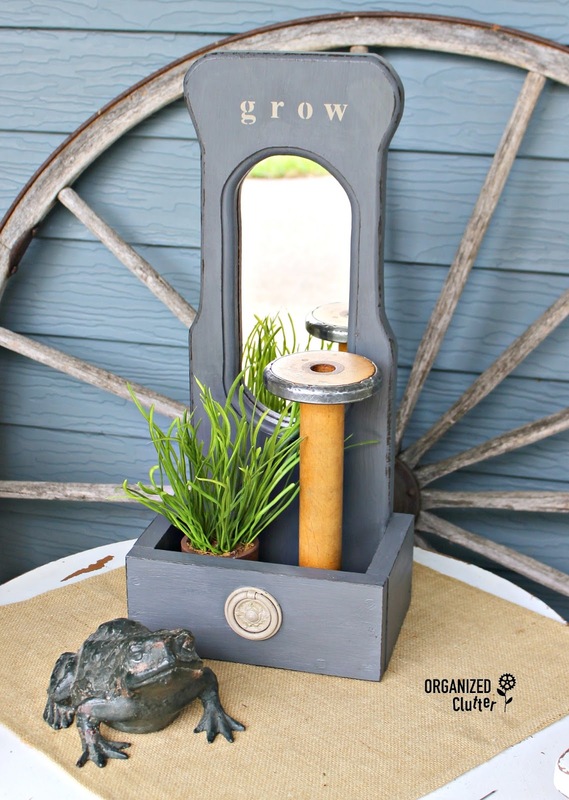 The piece can either hang on the sawtooth hanger on the back or sit on a table or shelf. You could add a rectangle of foam and stick faux plant pics into the foam as well. 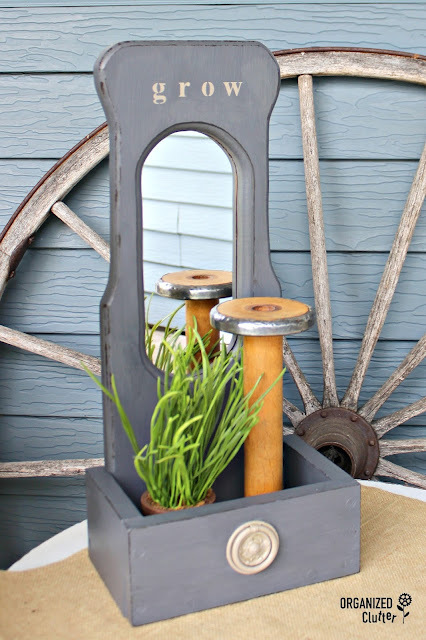 Easy and inexpensive thrift shop decor! I love it when I find a new blog notice from you when I open my email. If you get paint on glass or mirrors you can usually get it off easily with the gentle use of a razor blade. Cute! I do love that color!